Gold Coast Author Donna Munro has release The Zanzibar Moon, her debut novel and 'one and only' tick on the bucket list. Munro was already a successful freelance writer, but the dream of publishing a novel was pushed aside until she turned 52. GOLD COAST, Australia - April 19, 2017 - PRLog -- Why publish this late in life and why would we read this book? The difference with Donna Munro is her persistency to write. She has a huge body of work and she's not one of those writers who suddenly decided writing was cool. Writing is who she is. The Zanzibar Moon is a unique twist on romance and adventure. Munro brings with it a nice dose of humanity. At the end of her books she plans to focus on the charities and causes she is passionate about. "I couldn't do this if I was publishing with a traditional publisher. I like having that control and including what is dear to me." 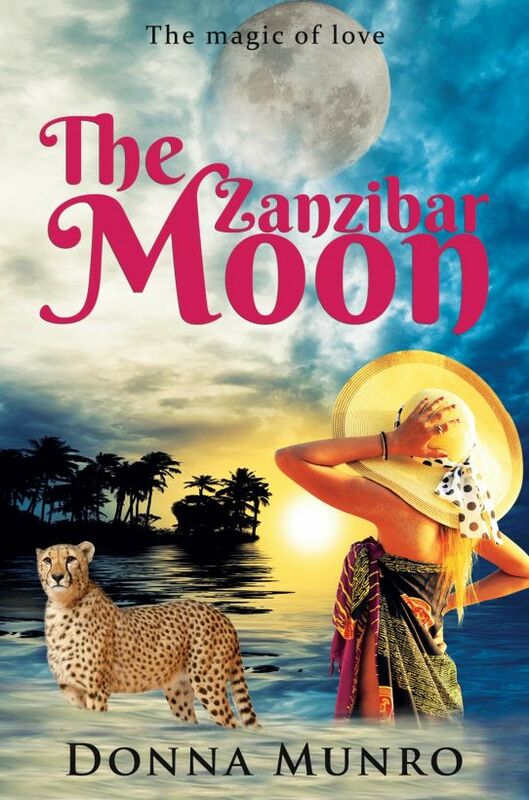 In The Zanzibar Moon she has highlighted the plight of Umoja Orphanage Kenya, The Shelrick Wildlife Centre, AfriCat and even made mention to fellow (deceased) author Edgar Rice Burrough. "It may seem selfish to be doing this, but it's got to be now – not never," she says. "I did think I'd be an author in my twenties. I've waited long enough. I don't feel old at all. There's no age limit to following your heart and your dreams. I haven't taken self-publishing lightly. I've worked in book publishing and I know how professional the product needs to be for success. There are hundreds of thousands of books produced each year (in the US alone)." Most authors are lucky to sell 250, particularly emerging authors. Alkina's Jarvis thinks the best way to deal with the end of her marriage is to give her life a jungle twist. There's the unexpected; a brawny exotic man walking a cheetah, a wizened woman with an ancient lamp, an old journal with secret pages, giant tortoises in caves and the wonderful eccentric characters of The Peace Resort. Don Cloutier the island's doctor struggles with his own demons; drink, women and temptation. Will he ever take his medical calling seriously and stop comparing himself to Kendwa, and perhaps win Ali's heart? Shaun Flannery is Ali's handsome neighbour and friend. Can he make her see sense, or is he just wasting his time? And Ali's husband can't make up his mind. It's impossible for Ali to resist Kendwa, but will his past come back to haunt them both? Donna Munro is also the founder of Umoja Writing Competition which raises funds for the Umoja Orphanage Project Kenya and promotes literacy. She has been a regular volunteer with local sport and is keen on fitness (loves kick-fit and boxing training). She has a passion for wildlife, particularly elephants (she sponsors Tundani) and has a soft spot for owls. She lives on the Gold Coast with her husband, youngest son and the weirdo dog Mahli. You'll often find her on a beach with a book in her hand and her toes in the sand. A PDF copy of the book is available for reviews now and the book will be release the first week in June 2017. It will be both paperback and ebook (eventually on Audible).